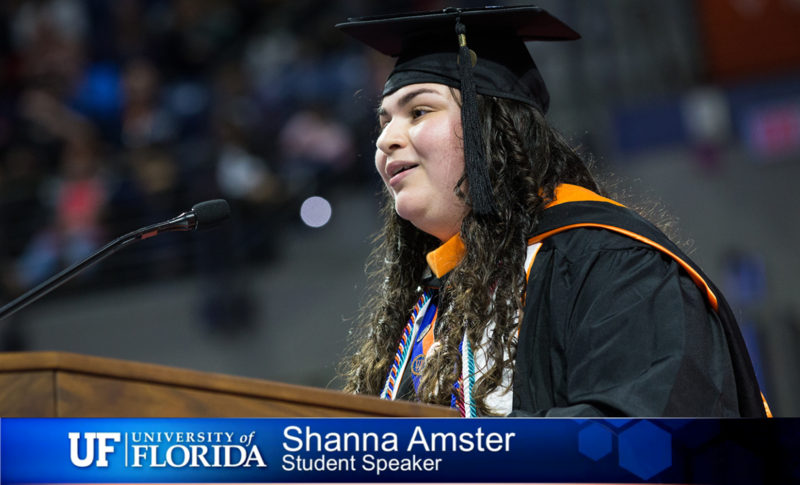 Shanna Amster is a double Gator graduate, earning both her B.S. and M.S. 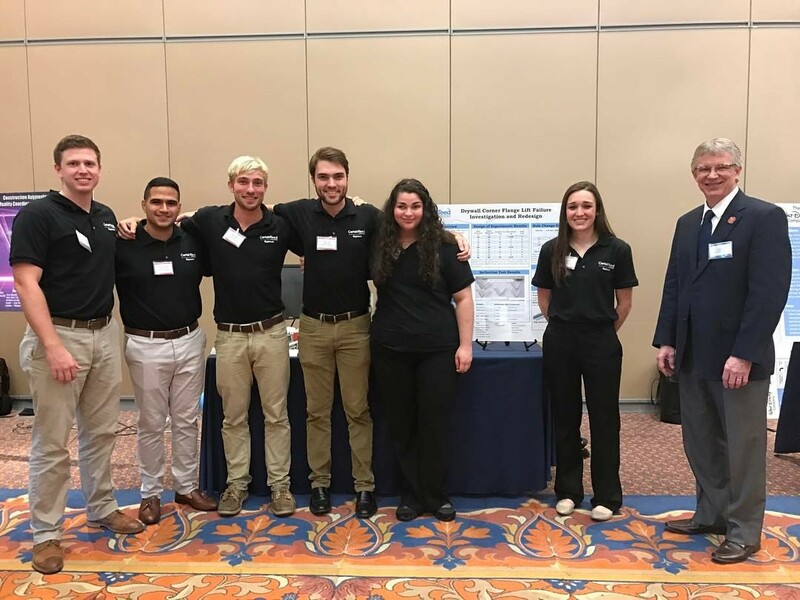 degrees in mechanical engineering from the UF Herbert Wertheim College of Engineering in Spring 2017 and Fall 2018, respectively. During her time at UF, Amster was actively involved both inside and outside of the classroom. Within the college, Amster took on leadership roles in several student organizations and served as a mentor to fellow engineering students. Her roles included being the publicity and outreach director in Gator Robotics, a teaching assistant for the Dynamic and Control Systems Laboratory, project team leader and graduate technical assistant (TA) for the Integrated Product and Process Design Program (IPPD), and vice president of Pi Tau Sigma (PTS) Mechanical Engineering Honor Society. Amster also expanded her skills by enrolling in UF’s Engineering Leadership Institute and Engineering Innovation Institute courses. She completed graduate certificates both in Engineering Leadership and Engineering Innovation, and also earned an Advanced Manufacturing graduate certificate from the Department of Mechanical & Aerospace Engineering. "I am using my technical skills to solve problems and improve products and processes," Amster said. "And I am using my people skills to collaborate in teams, mentor, and influence people to reach their full potential." She explains that UF taught her the two sides to being a meaningful leader: IQ and EQ. "A leader needs to balance their technical competencies with their people ("soft") skills in order to make a difference for their team and company," she said. Her involvement as a student leader and interdisciplinary skills would lead her to land internships at MYOLYN, JBT AeroTech and Walt Disney World. After graduation, Amster began her engineering career at Lockheed Martin as an Electro-Mechanical Engineer II. Fun fact: UF President Kent Fuchs (who is also engineer) was a surprise guest at Amster's graduation photoshoot! Amster shown with with her Integrated Product and Process Design (IPPD) team participating in the Final Design Review event. The team worked with sponsor company, CertainTeed Gypsum. 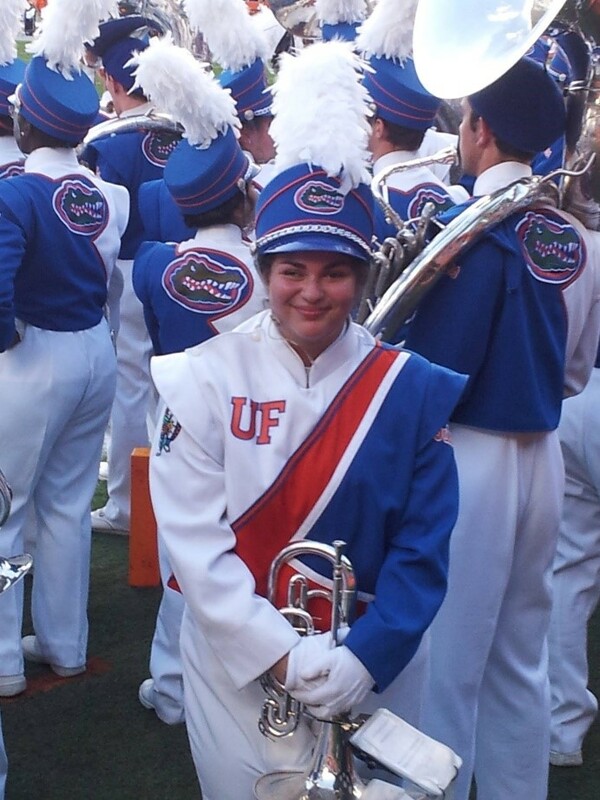 An avid supporter of the Florida Gators, Amster was a member of UF’s Fighting Gator Marching Band, also known as The Pride of the Sunshine, and traveled to London to perform at the 2012 Summer Olympics.